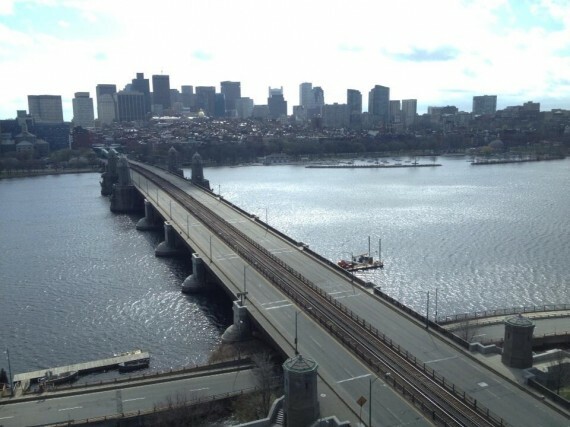 Boston emerged from the hideous din of the Marathon bombing as America’s Hero City. “Boston Strong” has become a favored slogan, while sportswear proclaiming “Boston Strong – Wrong City to Mess With” sells briskly. Page one of the Chicago Tribune sports section featured the logos of all the Boston major-league teams on a black background, with the words: “We Are Chicago Red Sox, Chicago Celtics, Chicago Bruins, Chicago Patriots, Chicago Revolution.” In the Bronx, Yankees fans – Yankee fans! – sang “Sweet Caroline”, the anthem of the Red Sox, during the third inning of their game against the Diamondbacks. The City of Boston deserves the nation’s respect. Its people weathered the crisis with courage and resilience. Its law enforcement personnel performed their duties with brave professionalism. There was a wonderful unity. For those of us who grew up in Boston during the anti-war 60s and 70s, the spectacle of college students thronging the streets to wave American flags and cheer policemen and soldiers was strangely marvelous. Yes, Boston deserves its status as the Hero City. But in our long war with terrorism — a war in which the Marathon bombing was merely one battle in a long series, past and future — should Boston stand as a Model City? To answer that question, attention must be paid to the goals and motives of terrorists. As this article is written, available evidence suggests that Tamerlan and Dzhokhar Tsarnaeve acted on their own. But all terrorists, whether part of international networks executing carefully planned attacks – as in the 9/11 or London Underground bombings — or lone wolves – as was the case with Fort Hood army psychiatrist Nidal Malik Hasan — share certain characteristics. Terrorists are not out to “win.” At least not in the conventional sense. They do not expect the cities they attack to unfurl a white flag and surrender. They are not intent upon conquering and occupying territory. Then what do terrorists want? They want to be noticed. They want the world to acknowledge their relevance. They want the world to acknowledge their power. They want to stop the world in its tracks, and command its attention. Now consider what they achieved in Boston. They killed four innocents, and managed to maim or injure almost two hundred others. But the shockwaves of their malevolence extended far beyond those crimes. In the wake of the bombing, Boston and its surrounding communities went into a defensive crouch, as nearly one million people “sheltered in place.” Boylston Street, the heart of the business district, became a ghost town and remained so for nine days. At the height of the crisis, there was no public transit, no taxi service, no Amtrak service. The public schools and dozens of colleges shut down. City employees were told not to report to work. Courthouses closed, and jurors were sent home, as the justice system ground to a halt. The Boston Red Sox and the Boston Bruins postponed their games. Now this is one way to deal with terrorism, and it carries with it certain advantages. It enhances public safety. No one knew whether other explosive devices remained in Boston’s public areas. Citizens locked inside their homes are less exposed to danger. And streets bare of vehicular traffic make it much easier for law enforcement to track and pursue terrorists. Israel has withstood scores of suicide bombings, and tens of thousands of rocket and mortar attacks on its civilian centers. It has developed a strict protocol for handling crime scenes. Victims are evacuated, body parts respectfully removed. Then clean-up crews arrive to remove the wreckage and repair the walls and the glass. Within hours the affected facility – a bus station, a restaurant, a market – is reopened and back in business. But Israelis, Londoners, and others realize that the goal of terrorism is to inculcate a sense of vulnerability and helplessness. Therefore, one of the most effective anti-terrorist tactics is the prompt return to normality. Showing up at work the next day, or boarding a bus, or patronizing a pizza shop – such mundane actions by a resolute citizenry demonstrate the failure of terrorism to terrorize. These actions defeat terrorism by illustrating its futility. Boston reacted very differently, and that difference may send a regrettable message to the thousands of other Tsarnaeves lurking in other cities, leading gray inconsequential lives. Many would-be terrorists have now seen how easy it is to paralyze a great city. They have seen how simple it is to command attention. Was Boston wise? Time will tell. I do think there’s a learning curve based on the amount of experiences we, and other nations, have of terrorist incidents. Israel has had decades of it, and their tactics and security routines evolved over that time. The UK has also had many years in which to reflect and plan ahead, and hundreds of different kinds of attacks. By comparison, the US hasn’t had many at all. 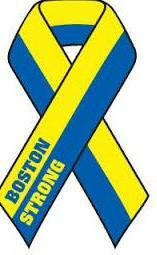 Considering that, I view Boston’s response as focused and smart. Immediately after the explosions, people ran to the wounded to help them. Once police knew the criminals were still in the area, they got people off the streets through a single day’s “lockdown”, which kept the survivor from being able to escape. It’s pretty rare to catch this kind of perpetrator alive. Now we can learn a lot if we keep him in a cage for study instead of executing him. Your intellectual response has much merit. This is a first and hopefully a LAST for Boston. We are stunned but also very able to learn. Thank you.